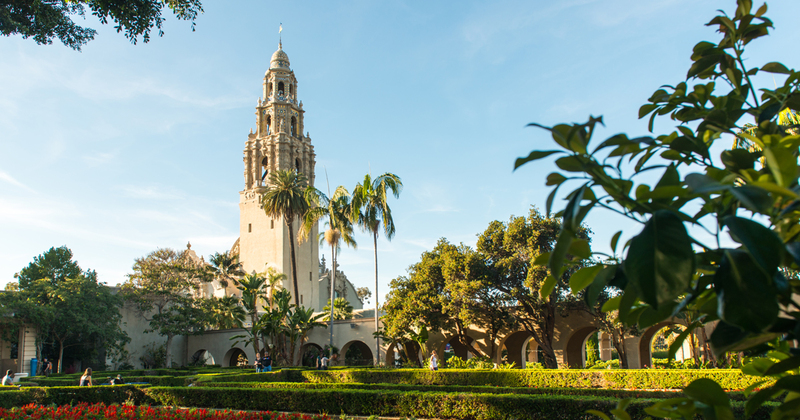 It’s February and love is in the air and there is plenty to love in Balboa Park, too. From the science of love to pop-up Latin art to strolling Japanese gardens in a kimono, the park is alive with experiences you won’t want to miss. Some science is just too messy, too noisy and, well, maybe a bit too daring to try at home. Luckily, the Fleet Science Center is more than happy to offer up hair-raising experiments through its live show of “Don’t Try This at Home.” The shows are included with museum admission and start every 30 minutes past the hour. There are explosions, shocks and even a leaf blower and toilet paper pairing. Learn about the craft and culture of weaving with a demonstration and trunk show at the Mingei Museum with Porfirio Gutiérrez, a master weaver who was recently profiled in The New York Times about his work to keep traditional Zapotec practices alive. These century old traditions include the use of insects and plants to make environmentally friendly dyes that produce an array of vivid colors. Gutiérrez, who comes from generations of weavers from Teotitlán del Valle in Oaxaca, Mexico, will have his works for sale and provide a free weaving demonstration in the Mingei’s Collectors Gallery on from noon to 3:00 PM. See art in action as six local artists create works inspired by the San Diego Museum of Art’s Modern Masters from Latin America: The Pérez Simón Collection. In addition to live art, there will also be live music from Mariachi Estrellas de Chula Vista and Air Nandez. Admission to the museum is free from 5:00 to 8:00 PM. For those who would love to know more about love, the San Diego Natural History Museum (theNAT) is where you should head. As part of its Secret Society of Adultologists series, a nighttime 21-and-over event, theNAT is looking for love in all the right places by exploring courtship in the natural world with a variety of activities, including unique specimens from the museum’s expansive collection, a Valentine’s Day crafting station, and games that test your love IQ. There will also be a photo booth, live music and special access to the museum’s rooftop bar. Tickets are $15 for members and $25 for non-members. Food and beverages are not included but can be purchased at happy hour prices. The event runs from 7:00 to 10:00 PM. Give love and get love at this interactive event in the courtyard just outside The Old Globe Theater. The event is part of the theater’s AXIS program, which is designed to offer up free cultural events for the community. Give Love, a project that started in New York and has spread through cities around the country, is intended to inspire kindness, and the Saturday event will include everything from free flowers, playful games, dancing, a photo booth, arts and crafts, and other dialogue-inspiring activities. The event runs from 11:30 AM to 2:00 PM. Want some more time to wallow in the frothiness of love with a witty twist? Then definitely make plans to see The Importance of Being Earnest, which will have a matinee at the Old Globe right after the Get Love event. The play runs through March 4. Looking for a romantic event that delivers the not only the sights but also the sounds of love? The Timken Museum is offering a performance of Antonin Dvořák’s String Quartet No. 12 in F alongside the its exhibition of Romantic Impulse in the American Landscape Tradition, 19th to 21st Century. Nuvi Mehta, the San Diego Symphony’s concert commentator, will lead a discussion prior to the evening’s performance, and serve as the violinist, joining Chi-Yuan Chen, principal viola, Xian Zhuo, viola and Zou Yu, violin, also of the San Diego Symphony. Tickets $45 for members and $55 for non-members. The program starts at 6:30 PM. Why just visit the Japanese Friendship Gardens when you can stroll through in true Japanese style in an authentic kimono? The Japanese Friendship Gardens has teamed up with Yuko Niwa to offer kimono and yukata rental for both visitors and members alike. Participants must pay admission to the gardens and rental fees for a kimono, yukata or hakama range from $20 to $35 an hour and include dressing time and assistance. Charges are at an hourly rate, but the dressing time is not part of the rental period. RSVPs and walk-ins are welcome. To schedule an appointment, contact programs@niwa.org or yukoniwa@gmail.com. This entry was posted in Arts & Culture, San Diego Events and tagged balboa park, culture by Jennifer Davies. Bookmark the permalink.